Dogs that are aggressive to other dogs can be frightening and embarrassing for owners. Although it may seem like an impossible task, dogs can learn to tolerate and behave well in the company of other dogs if you help them to understand what they need to do. Finding out the cause of their aggression and solving the problem for them can turn a raging monster into a calm companion. This information is intended for adult dogs and puppies over 6 months of age. If your puppy is younger, please go to 'Puppy Aggression To Other Dogs And Puppies'. Using punishment to stop aggression is not the way to solve the problem. If you are tempted to shout, scold, alpha roll your dog, shake, or shock, don’t! The intelligent, thoughtful approach is always best in the long run and will solve the problem for the dog as well as you. Punishment and force usually make aggression problems much worse as the dog tries harder to feel better. In some cases, severe punishment may appear to work by intimidating the dog into stopping aggressive behaviour, but it doesn’t solve the underlying problem, which is just waiting to resurface, sometimes with increased ferocity, when the circumstances are right. If your dog is aggressive to other dogs and you want a solution, it is important to find out the motivation behind the aggression. 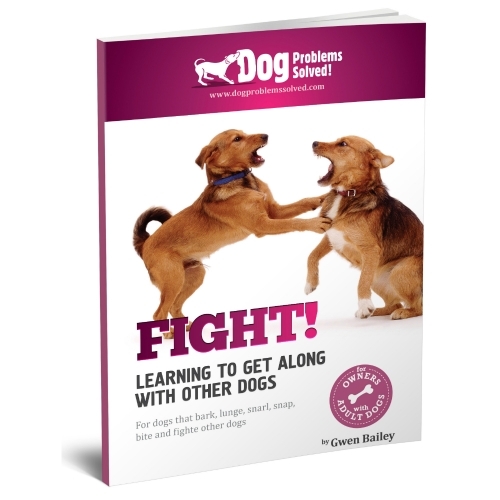 Once you know why your dog is being aggressive, you can solve the problem for your dog and teach it to behave in a more acceptable way. 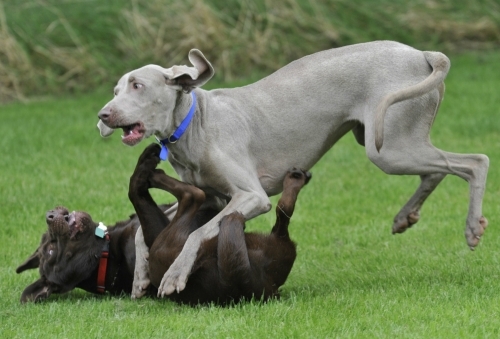 Dogs may be aggressive for more than one reason, but each motivation is distinct and separate. 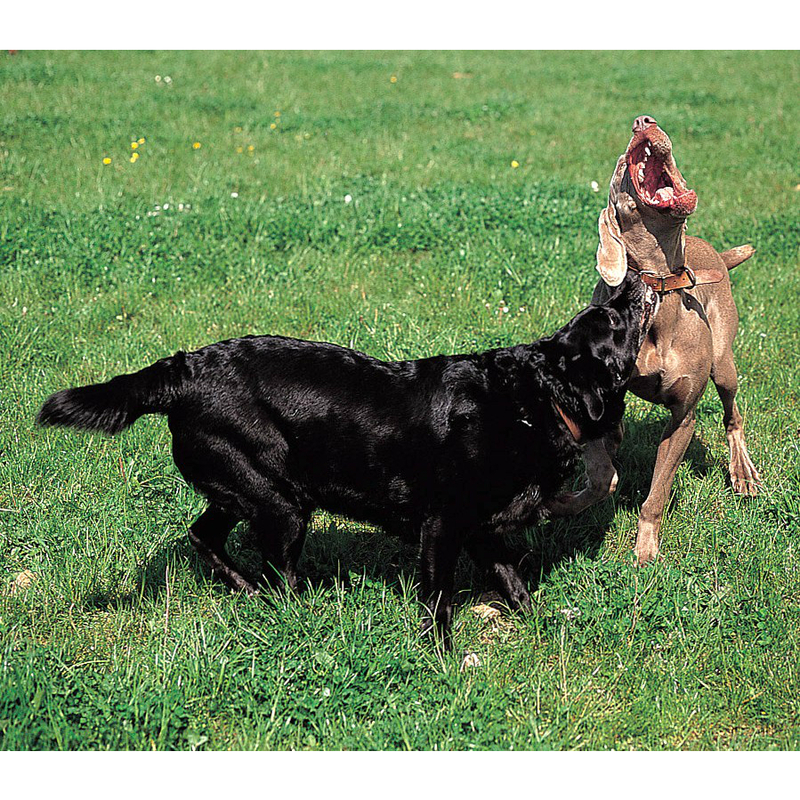 Fear - this is the most common cause for dogs to be aggressive to other dogs. 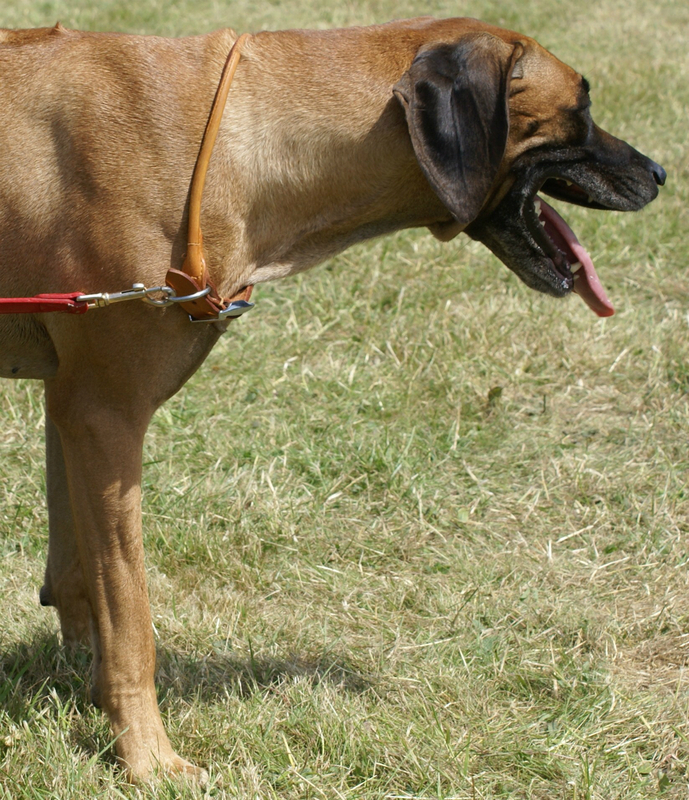 Some dogs are worried about other dogs because they have had frightening or painful experiences with them when young, and some dogs have learned aggressive behaviour to others from dogs they live with.Positive solution for fear of other dogs – a programme of treatment is needed that incorporates control measures, teaching your dog to be calm when other dogs are close by, and, ultimately, re-socialising your dog with others if it is safe to do so. Frustration – some dogs become aggressive to other dogs when held back on a lead for a while before being set free, Frustrated players may also goad and nip the other dog if it stands still to try to make it run so it can play a chase game. Solving this issue relies on preventing play with other dogs and teaching the dog how to prefer playing games with humans instead, teaching him self-control in other areas of life, and then training him to behave calmly around other dogs. Rough play – dogs that play rough with other dogs need to be prevented from playing with other dogs for a while and taught to play with humans with toys instead. They need to learn self-control and good manners and then some can be allowed supervised and instructional play with other dogs. Sexual competition – the right to breed is a powerful motivator and, sometimes, the only solution for dogs that fight for this reason is to have them neutered. Once neutered, the motivation to compete is reduced and the dog can usually be rehabilitated successfully. Before this irreversible step is taken, it is important to seek professional help so you can be sure of the true cause of any aggression. Possessive aggression – dogs may be aggressive to keep toys or food for themselves. It is difficult to cure dogs of this so it is easier to learn to manage situations so that your dog is never in a position to guard things from others. Physical reasons – dogs may become aggressive if they are not feeling well or if play with other dogs has become painful due to a condition such as arthritis. All dogs that are showing signs of sudden-onset aggression should be checked out by a veterinary surgeon immediately.